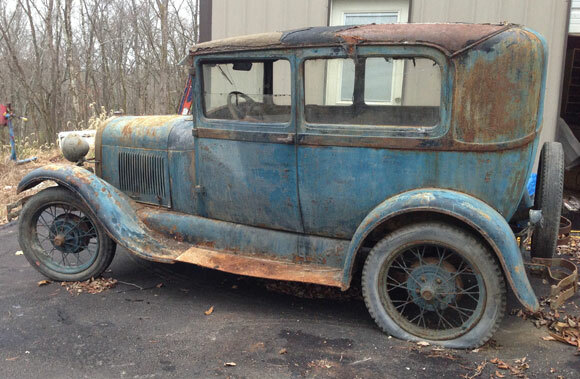 Model T Ford Forum: OT - $4.5K for the perfect patina ? OT - $4.5K for the perfect patina ? 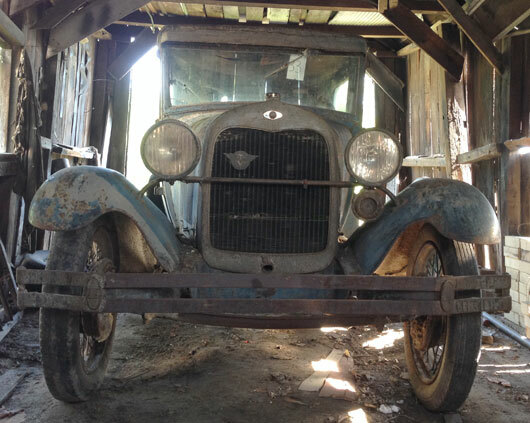 Model T Ford Forum: Forum 2014: OT - $4.5K for the perfect patina ? love the patina on the top of those pistons! Looks like somebody snagged the radiator badge fairly recently. The "patina" is obviously missing from where the badge used to be. That shiny oval stands out like a sore thumb. never seen a fan shroud on a model a before. Ran when parked. Very rare. Drive it home. 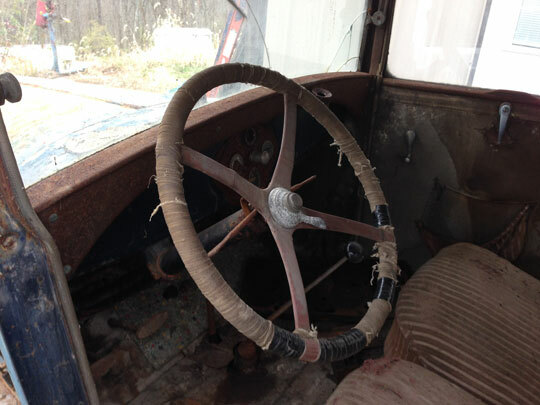 Red steering wheel...'28 early car?? Note the red steering wheel? That is an early 28. 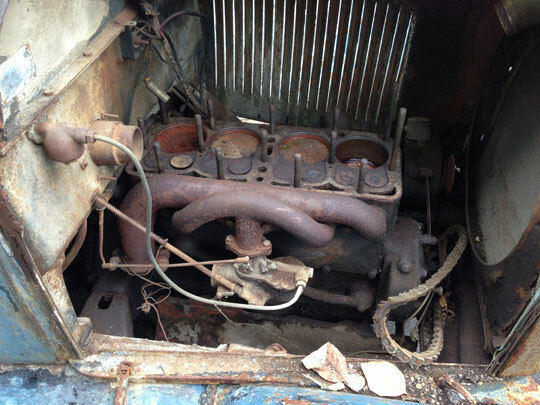 The first Model A's did have a fan shroud, but it was soon eliminated. Note also the location of the parking brake lever in front of the gear shift? 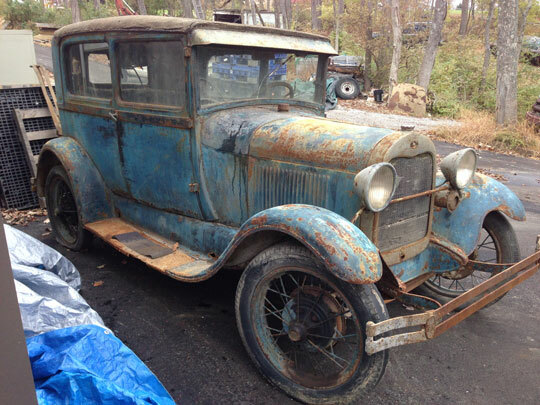 The very first 28's had it on the left in the position where it was on the Model T. Next it was moved right in front of the gearshift. Later it was moved to the right of the gear shift. Also, notice the "powerhouse" generator? That was the first Model A generator, shaped like an alternator. The later ones were shaped like the Model T generator.